The founders of the Miami-based outfit are engineers Jarrod Blanning and John Walz, who met at university. 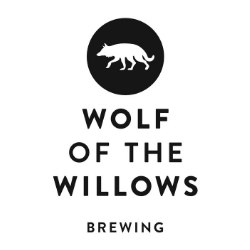 They were both working in small Brisbane breweries when they envisioned opening their own in late 2016. The company began production in late September 2017, before opening its brewery and taproom to the public in November. Like the logo and brand, the venue’s design and colour scheme is inspired by the Miami area, Blanning told Brews News. “We definitely wanted to have a point of difference, we wanted to stay away from the kind of masculine blacks that are typically associated with breweries,” he said. Walz has a chemical engineering background and is head brewer at Lost Palms, which is running a 20hL brewehouse. A pilsner released in January joins Lost Palms’ core range of beers including an amber ale, an IPA and a beetroot sour. With the range hovering around three to five per cent ABV, Blanning said Lost Palms has differentiated its offering from the bigger beers their friends and neighbours at Black Hops Brewing – located in Burleigh Heads – are known for. 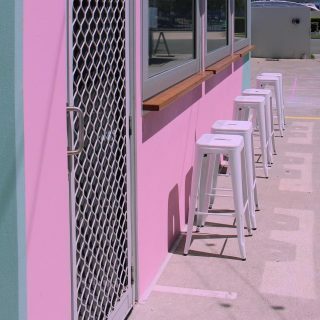 Lost Palms’ taproom is currently open from Friday to Sunday on Oak Ave, Miami, where its colourful building is hard to miss. Taproom opening hours may be expanded in the coming months. Check Lost Palms’ website for details.